100 JUGified Challenges! | Work in Progress. We're still on the road but I couldn't let an occasion such as this pass me by without a little somethin' somethin'! 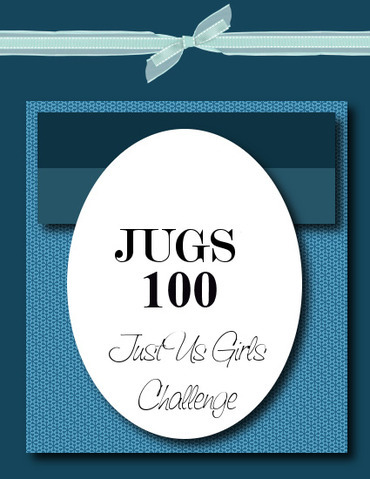 We've reached a special milestone over at Just Us Girls - this is our 100th challenge!!! And our dear, sweet Pammycakes has chosen to use the inaugural JUGS sketch, that's right, the first EVER JUGS sketch as this week's challenge. How fun!!! Now, I don't have a card to share as all my crafty supplies are currently on a truck bound for Canada but I am offering up some blog candy to wet your whistles! 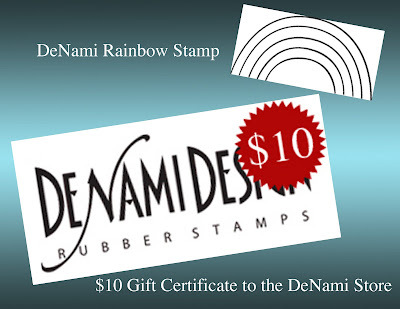 I'm offering a Rainbow stamp from DeNami as well as a $10 gift certificate to the DeNami Store!!! 1. Create a CARD based on the sketch - although it's just a "starting point" we should be able to tell that your card was created with this sketch in mind. 2. 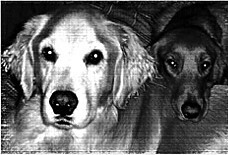 Become a FOLLOWER of our blog if you are not already. 3. Leave a COMMENT on the JUGS challenge page. 4. Visit EACH Design Team member AND our Featured Designer and LEAVE a COMMENT for each Jughead (they have all worked really hard and this would be a great week to leave some love). 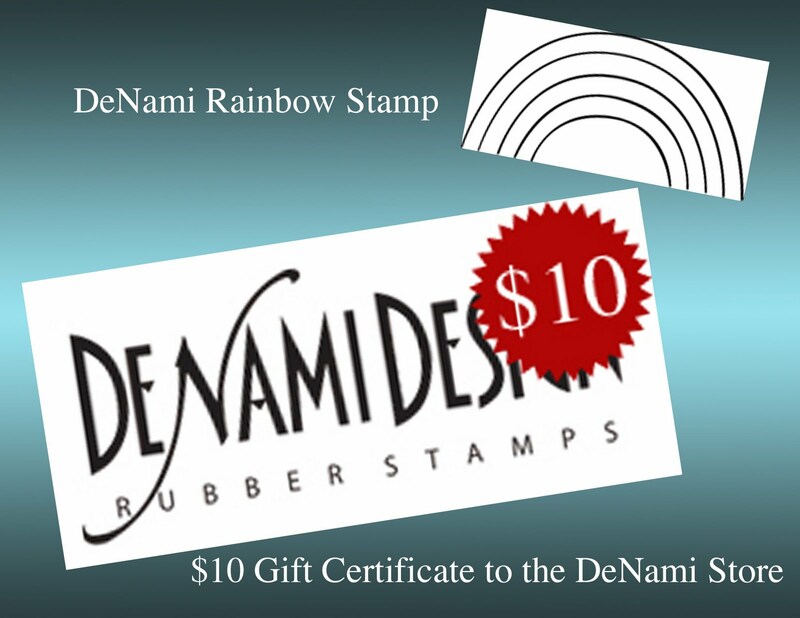 Each DT girl will draw ONE lucky winner at the end of the week so be sure to visit them all and leave your comments! If you already haven't, see the JUGS site for all the challenge deets. Thanks so much for stopping by! Good luck!!! Posted in 100, JUGS DT, Move, Sketch . Bookmark the permalink. RSS feed for this post.